Staff and volunteers provided resources and collected petition signatures. Our executive director spoke during the rally. The Alliance and CT Department of Public Health released their new public service announcements. 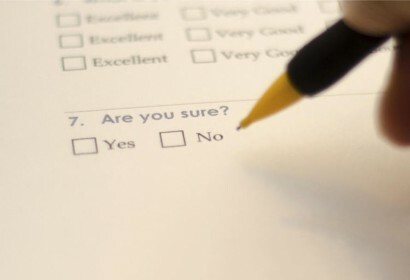 Connecticut residents are encouraged to share their experiences and concerns in an online survey. Billboards are on display in Hartford, Waterbury and New Haven to promote our Where Do You Stand? Connecticut campaign. 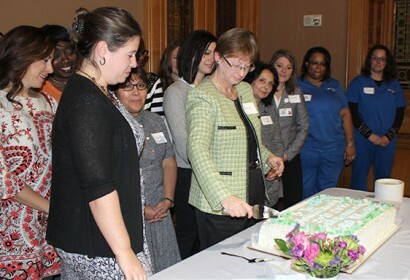 Advocates, lawmakers and members of the general public came together for a special event and lobby day. 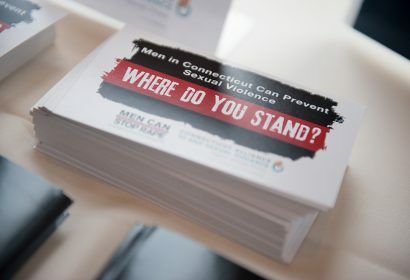 Men currently working in the field of sexual violence prevention will share their tools and techniques with other men throughout the state. Registration is open! 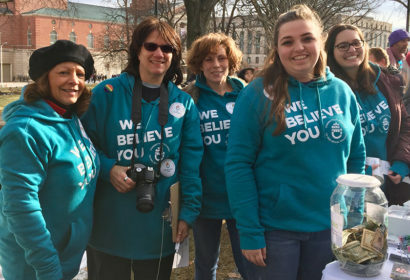 Advocates and allies gathered in Hartford on the National Day of Action to kick off Sexual Assault Awareness Month. 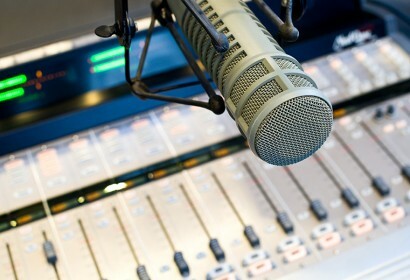 Radio La Bomba invites one of our Victim Advocates to discuss sexual violence in Latinx communities on the Morning Show with DJ Metrix. 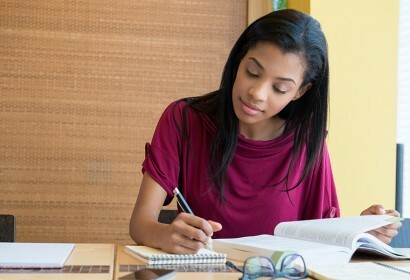 A scholarship or stipend will be granted to an individual who displays leadership and commitment to sexual violence prevention and victim advocacy. 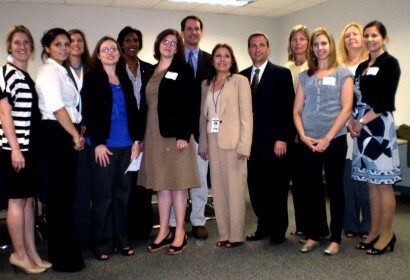 On January 26th, the Gail Burns-Smith Sexual Assault Forensics Examiner Program marked its 5th anniversary. and updates from the RPE meeting at the National Sexual Assault Conference. 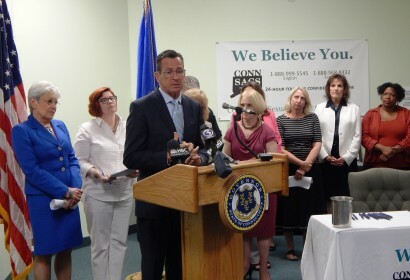 Governor Malloy pledged to form a statewide, multidisciplinary working group to address Connecticut’s backlog of 879 sexual assault evidence collection kits. This week, lawmakers will hear public testimony on making affirmative consent a state standard on CT campuses. 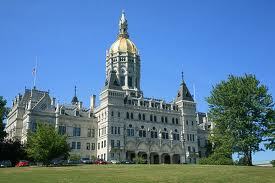 CONNSACS intern, Meg Grant, speaks to the issue in today’s Hartford Courant! 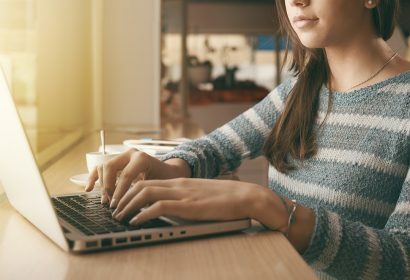 The Violence Against Women Act (VAWA) has been improving the response to sexual assault, domestic violence, and stalking for nearly twenty years. 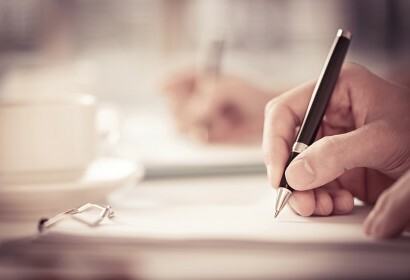 VAWA, which was first passed in 1994 and subsequently reauthorized in 2000 and 2005, is a comprehensive legislative package that has brought together law enforcement, victim advocates, healthcare professionals, social service providers, and others to share information and use their distinct roles to improve community responses to violence against women. 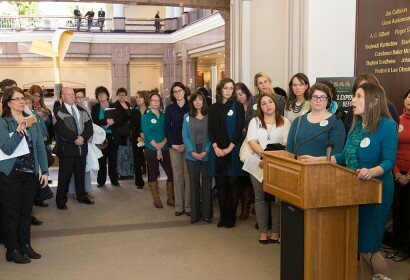 The 2012 Connecticut legislative session ended on May 9, and CONNSACS is pleased to announce the passage of several pieces of legislation that will benefit survivors of sexual violence. 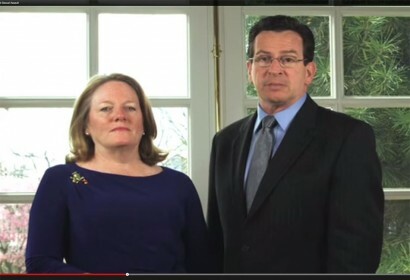 In a new public service announcement, Governor Malloy and First Lady Cathy Malloy discuss the urgent need for Connecticut residents to talk about sexual violence and to reach out for help if they have been assaulted. 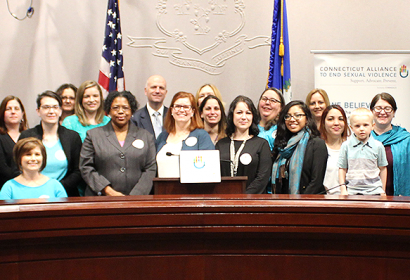 Connecticut Alliance to End Sexual Violence (The Alliance) is a statewide coalition of individual sexual assault crisis programs. 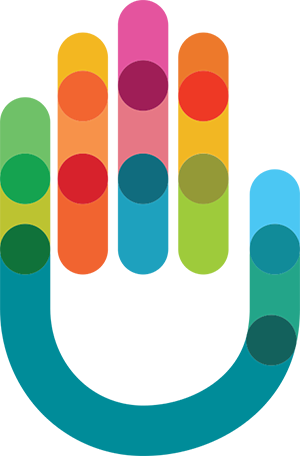 The Alliance works to end sexual violence through victim assistance, community education, and public policy advocacy. 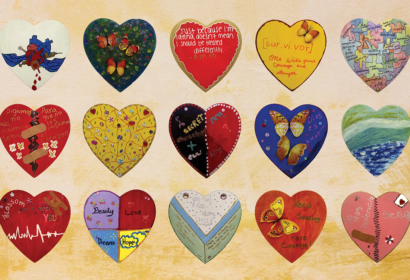 © 2019 Connecticut Alliance to End Sexual Violence.